The aroma is sweet and honey-like. The taste is familiar to fresh hay and honey. This hydrosol calms the nerves with a few sprays into the mouth and around the face and neck. Our clients who have histories of anxiety attacks carry this hydrosol with them everywhere! Your Canine family will appreciate the relief they feel during thunderstorms and fireworks! 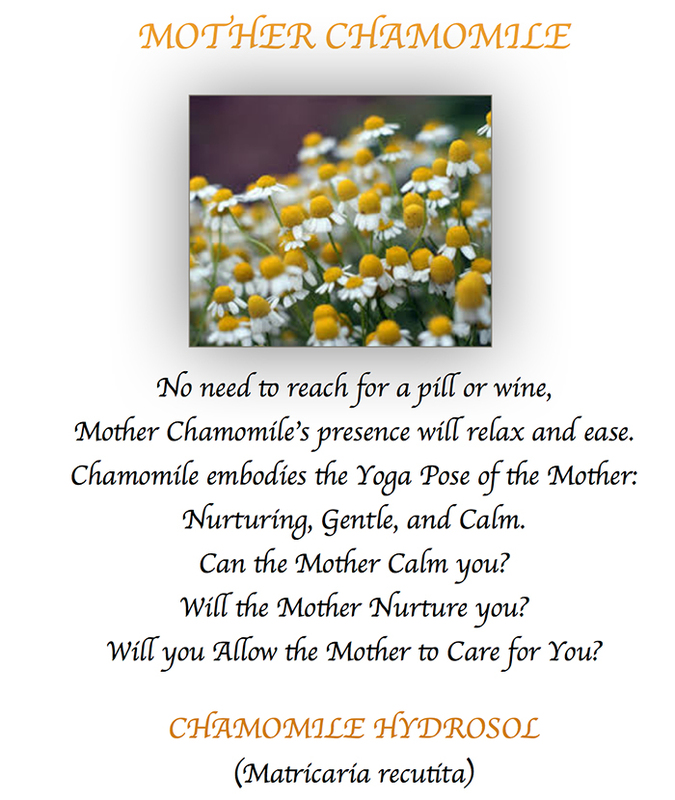 Chamomile is an effective mist for skin care, calming rashes, acne, redness and sunburns. It is safe as an eyewash for soothing irritated eyes, general tiredness or computer fatigue. She reduces puffiness, promotes skin elasticity, and is soothing for the nerves. She will provide an avenue for a calm and restful environment.